The NSW Rural Fire Service (RFS) is receiving two ex-Australian Army Sikorsky Black Hawk helicopters to support its emergency services work. The role of the two helicopters would be to fly emergency service personnel to bushfires, floods and other disasters across the state, Federal Minister for Law Enforcement and Cyber Security Angus Taylor, NSW Treasurer Dominic Perrottet and NSW Minister for Police and Emergency Services Troy Grant said in a joint statement on June 22. The NSW 2018/19 state budget included $6.5 million to retrofit the two Black Hawks to RFS specifications. “Once they are fully kitted out for their new use, firefighters and other emergency service personnel will be able to respond to fires, floods and other disasters as quickly as possible,” Perrottet said. The Australian Army’s fleet of S-70A Black Hawk Black Hawk helicopters is being replaced by the MRH 90 Taipan. The joint statement said the Army’s fleet of 39 Black Hawk helicopters was expected to be gradually withdrawn from service from 2019. Further, the transfer of ownership from the ADF to the NSW RFS was “subject to country of origin export endorsement, and other necessary approvals”. NSW RFS Deputy Commissioner Rob Rogers welcomed the announcement. “This commitment and additional investment from the NSW Government continues to ensure our state’s firefighters have access to the resources they need to protect the community,” Rogers said. 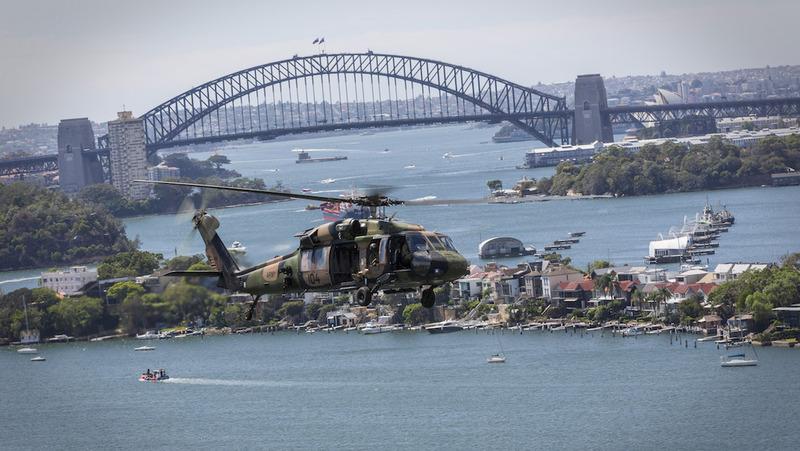 Minister Grant said the two Black Hawks, which have a cruising speed of 140kt, would be based in Sydney and boost the state’s ability to respond to life-and-death emergencies. “These Black Hawks will give personnel around-the-clock access to remote locations and give them further flexibility and mobile support to provide the best protection we can give residents across NSW,” Grant said. Wonder who will operate them? Good luck getting them certified for civil use! There’s plenty of other surpuls Blackhawks around the world flying in the firebombing role. For those aircraft in US the issue is the legality of them carrying passengers as they are certified in the restricted category, as opposed to as a normal part 29 rotorcraft. This is great news. A workhorse being re-roled. Aside from our military involvement in disaster response, the USCG have proven how effective these machines are in Emergency/Disaster Response and Recovery roles. That may come under “other necessary approvals” as stated in the article. I would think this has been looked at and sorted out.